Ben Affleck reprises his role as the Caped Crusader in Justice League next November and today, director Zack Snyder revealed the above image of his Batman who looks ready for hard work. Batman will use a new tactical suit in Justice League as he realizes new threats bring new challenges that need new kinds of defenses…and apparently new eyewear. This new look is in addition to the changes that the Bat will undergo with just his basic costume since Batman v Superman: Dawn of Justice. This new look is also very reminiscent of another live-action, comic book hero that had Snyder as a director. 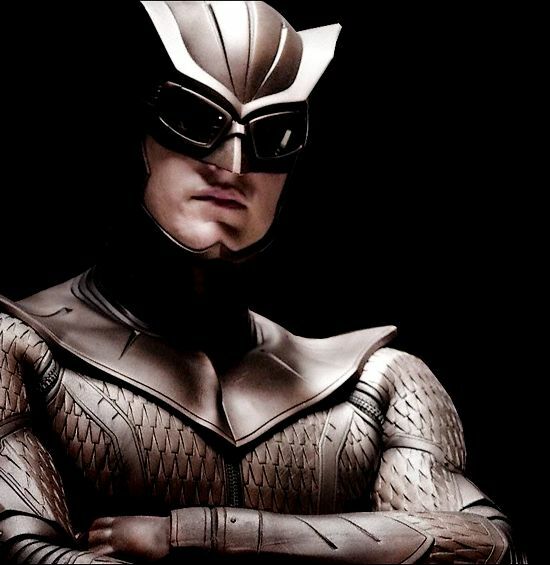 In 2010’s Watchmen, Patrick Wilson played the Batman-like The Owl who came out of retirement in an effort to foil an end of the world scenario, only to fight against his all-powerful, all-knowing, former superhero teammate Ozymandias (Matthew Goode). 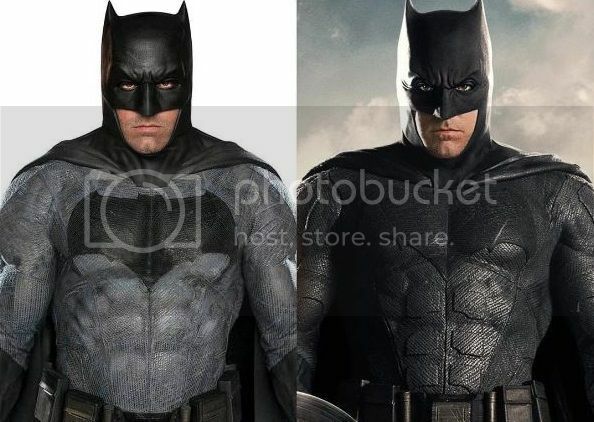 Question is whether we will see another upgraded look by the time we roll around to The Batman solo film some time in 2019. Justice League is coming out in theaters on November 3, 2017. CBMB: Deathstroke to be the Main Villain of Next Batman Solo Film (UPDATED)!! !